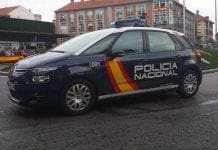 POLICE in Velez-Malaga have smashed a drugs network, seizing cash and narcotics worth thousands. Three men, all residents of the town, were arrested as part of the ongoing Operation Pekin II. Aged between 20 and 46, the men – all members of the same family – used two houses for storage and distribution. The 46-year-old was the mastermind, a 27-year-old was responsible for selling the drugs, and the 20-year-old was responsible for storage. Cocaine with a street value of around €7,500, marijuana and hashish were seized after police were tipped-off about the revival of the previously-dismantled network.